When my first child was born a few years ago, I was so worried about getting all the feeding stuff right that I lived and breathed by the experts. When my daughter was born though, I figured I kind of had a handle on that so I didn’t worry as much when she hated eating rice cereal. . . until someone made me worry. It is generally recommended that babies begin eating solids between four and six months, when they can sit with assistance, have doubled their birth weight and show a keen interest in what you are eating. My daughter fit the bill, so I started her with a bit of cereal, which she hated. We worked in apples, pears, sweet potatoes and avocado over the next few weeks and dropped cereal sometime along the way. ‘Baby food doesn’t have iron like the baby cereal does,’ a woman had said to me. After writing off the comment, or trying to, I realized it was really eating at me. So I did what any good writer/journalist/mother would do: I researched it. Rice cereal is easy to digest and mild on babies tummies, according to DrGreen.com. Rice cereal is not a perfect food though. “It has its advantages and disadvantages. One advantage is the taste is very mild and it will taste like the formula or breast milk the parent mixes it with. The reason this is good is that the baby is only experiencing one major change which is texture. On the flip side, rice cereal is very constipating and a baby who can’t poop is an unhappy baby,” says Isa Marrs, a board certified speech language pathologist who specializes in feeding disorders in children. 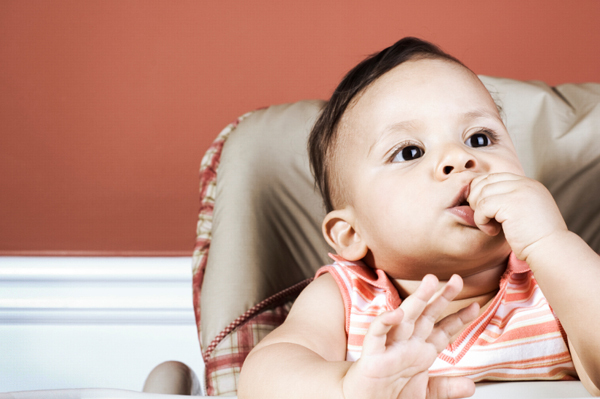 Babies need additional iron in their diets beginning at about six months, says registered Bridget Swinney, who wrote Baby Bites: Everything You Need to Know about Feeding Infants and Toddlers in One Handy Book. Breastfed babies are most in need of it, she says. “The best sources of iron rich food are either iron fortified cereal, or pureed meats. Meats are actually the preferred source for breastfed infants, because meat contains iron and zinc in absorbable forms. While most parents start their babies on cereal first, pureed meats are also recommended by the CDC to prevent iron deficiency anemia,” Swinney said. The bottom line is that babies need iron, not necessarily the bland cereal. So, does that mean it can be skipped altogether? “Yes, as long as they have some type of iron rich food. Other good sources would be pureed lentils, chick peas, or tofu,” Swinney said. Looks like we’re doing just fine. Following the baby food rules. Or not?